Organisations who are able to effectively "marry" their understanding of the external market with their internal talent maps are better prepared for the increasing shortage of critical leadership skills. 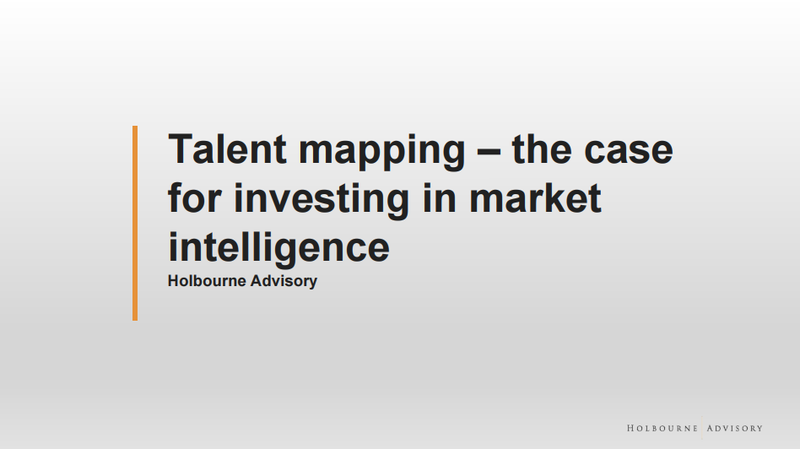 A Talent Map can be a vacancy or a non-vacancy driven exercise where Holbourne Advisory would assist your organisation to understand what the market of a certain skill set looks like. where possible to gather information on the market perception of your organisation. "One of the biggest new trends in people analytics is also starting to accelerate: leveraging external data .......... to predict workforce trends and target top talent."